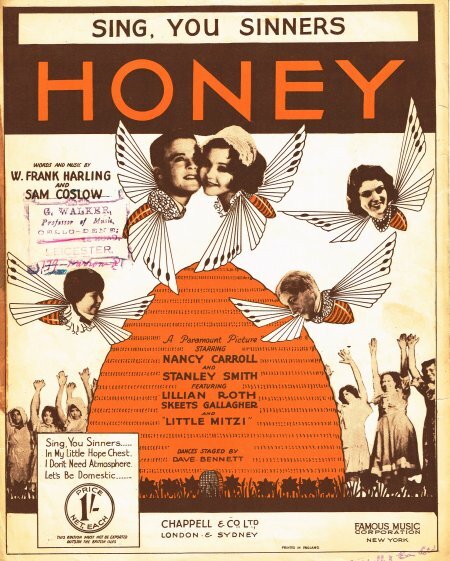 “Sing You Sinners” was written for the 1930 film “Honey,” starring Lillian Roth. The song was an early hit in 1950 for Tony Bennett. He sings the song regularly in concerts today. “Sing You Sinners” was recorded on July 20, 1950 and released that year as a single. It was arranged by Marty Manning. “Sing You Sinners” was recorded on December 15, 1955 and released as a single the following year. It was arranged by Percy Faith. “Sing You Sinners” was recorded live at Tony Bennett’s concert at Carnegie Hall on June 9, 1962 and was initially released in 1962 on the album Tony Bennett at Carnegie Hall. Ralph Sharon arranged the song. “Sing You Sinners” was recorded on April 8, 1964 and released in 2011 on Tony Bennett Live at the Sahara: From This Moment On, as part of the 2011 Complete Collection. It was arranged by Ralph Sharon. “Sing You Sinners” was recorded on February 10, 2006 with John Legend and was released that same year on Duets: An American Classic. It was arranged by Jorge Calandrelli.